What is Off-side SEO or Off-Page SEO? For example, suppose you have a mobile sale shop. And every day five of your mobile phones are sold. People from all around you know about your shop. There are more mobile stores like you do outside of your locality. Suppose a customer came to buy a mobile phone and asked the shopkeeper to go to your shop to not have it. This is called referencing. This applies to and above the website. If you have links of your site to any other website, Google understands that while this website is referring to your website, there are definitely good content on your website for which this website is offering to your website. This increases the DA and PA of your website. DA means domain authority. PA means page authority. For example, if you get 100 marks in the test, you are known as the best student and the number of the website is given at 100. The number of these 100 numbers your website receives, the more your website will rank on Google's first page. Finding your link on another's website is called backlink. You can also try to get backlink through commenting on the website. Again, some websites give the opportunity to guest post. Many people think that guest posting is posted for others so that you do not have any benefits. It's totally wrong. The best way to get sight is a guest post. Through comments, almost all bloggers and websites take backlinks. But think about the number of backlinks to be scanned by Google's comments on a website, how much your domain authority will be. According to Google's idea, if any other website link is found in the body section of any website, then it is considered a high-quality backlink. Read: Killer On Page SEO Tips For Blogspot Blogger Blog | Make Guaranteed Viral Your website. When you are getting backlink via commenting on a website, you should remember that you are backlinking from the website, its domain authority and the page authority minimize is above 40. The more you can get the backlink, the sooner your website gets ranked, it does not mean that you will have to take backlink every day 50-60. If you take a backlink of 50 to 60 per day, Google will realize that you are doing it yourself, so that your website or blog will never be rank and it will be completely removed from the internet. So creating more than 10 backlinks every day means to harm yourself for your website. Writing a good comment is necessary so that on the website you are writing the comments, the website will soon give your comments to Approval. Nofollow backlink means that if a website does not respond to your comment or publishes your given link as a Do-follow backlink then it is regarded as Nofollow Backlink. Keep in mind, commenting on 100 websites, if you get 100 backlinks, most of them will have to be Do-follow backlinks and some parts will have to be Nofollow backlink. Google will understand that your website is creating backlinks genuinly. If you search on the internet, in many places you will get the free directory submissions option. Directory means that your website is a category or any sub-category item. Suppose your website is about football, then it will fall into the category. And if your website is about football players like Messi, then it will fall into the sub-category of football category. The best websites for the free directory submissions are. To get you the best backlink, create an account at quora.com and help people answer questions they have there. Quara.com helps to find topics for everyday websites. Find a question related to the topic of your website and start answering it with your link to your website. 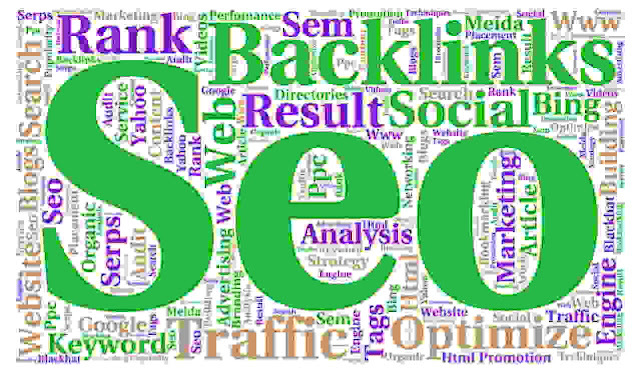 With high-quality backlinks on your website, you can get good traffic and go to your website. In this way, you will get good backlinks with traffic on your website. Note: If you get your answer then definitely share with your friend and help them to know about SEO. Finally, If you have any question in your mind then feel free and comment below.